Red Eye the TV show has outlived Red Eye the newspaper, by a couple months. The overnight news/comedy show on Fox News has been canceled, TVNewser has learned, with the final show airing this Friday night at 3 a.m. Host Tom Shillue and co-host Andy Levy are expected to stay on with Fox News. 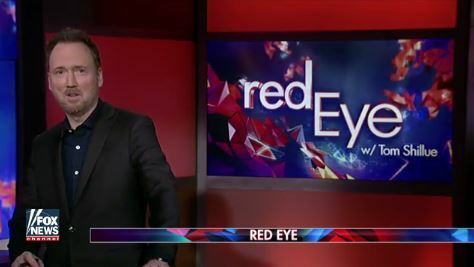 Red Eye, with host Greg Gutfeld, launched in 2007. A few weeks into its run, the Chicago Tribune filed a federal trademark infringement suit against Fox News. Since 2002, Tribune published a free newspaper called Red Eye. Tribune also gave Red Eye a website and programming on its regional cable news channel CLTV. But a judge denied Tribune’s argument in April, 2007 and both Red Eyes continued for 10 years. 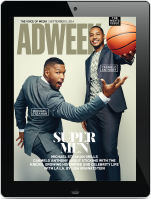 The free daily, which was meant for Chicago commuters, folded last month. So the TV show, which survived an infringement suit, an overnight timeslot, and a host change, survived the newspaper by two months.